Easy on your pocket. Easy on your stress. 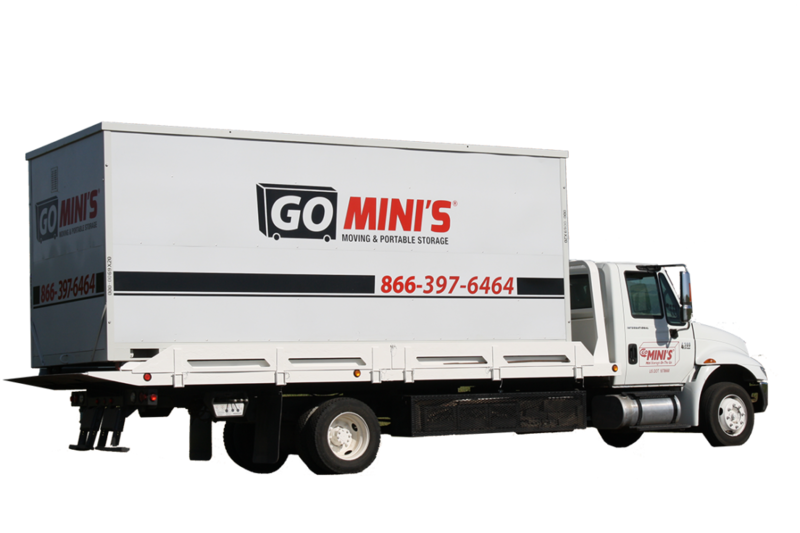 Go Mini's.......Moving Done YOUR Way. Go Mini’s allows you to move how you want to move. Don’t stress moving in only 1 day, with Go Mini’s you can take your time! Containers are rented by the month and you can keep them as long as you need. Keep it stored at your place or ours. Moving couldn’t be any simpler. Simply let us know the size of container you need – 12,16, or 20 foot. Tell us the date you would like it in your driveway. Call us back when you want us to pick it up. It’s really that simple. Your 12, 16, or 20 foot container will be delivered right to your driveway or choice of preference. Since our containers have padded wheels, it easily rolls off our truck and onto your driveway. Our containers provide easy access for you to load items on your timeline. The container can be placed facing your garage door for easy access. Instead of having to lift items into a truck, your goods can be wheeled or walked directly into container. Containers also include side rails, allowing you to strap down items. Need help loading heavier items? We can provide you labor too! Simply call us to pick up your container when you are finished loading or done using it. Our easy roll-on system minimizes items from shifting. We will transport your loaded container to your new residence or you can keep it stored at our secured facility until you are ready for delivery. Renting a container couldn't be any easier. Reserve yours now! 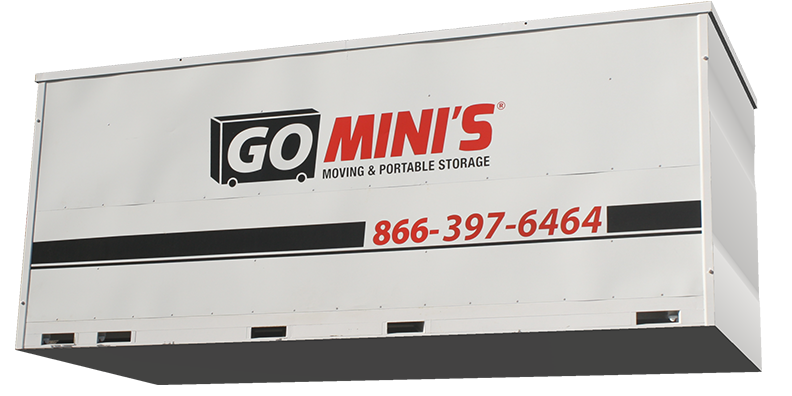 3403 E. Rosser Ave. 303 W. Southern Ave.
Go Mini's makes moving easy! We are your local, DIY moving solution. Save money and take your time moving with Go Mini's.